For anyone who wants to become more confident in treating either themselves or their children through common illnesses … before going to see the doctor. This workshop will provide tried and tested, easy and practical ways to manage coughs, colds and fevers, with lots of practical hands on remedy making. No previous knowledge is needed – you will learn by doing rather than learning by listening. You’ll leave the workshop with a number of super effective home made remedies that you’ll be able to recreate in your own kitchen. Iain Stewart, Medical Herbalist. 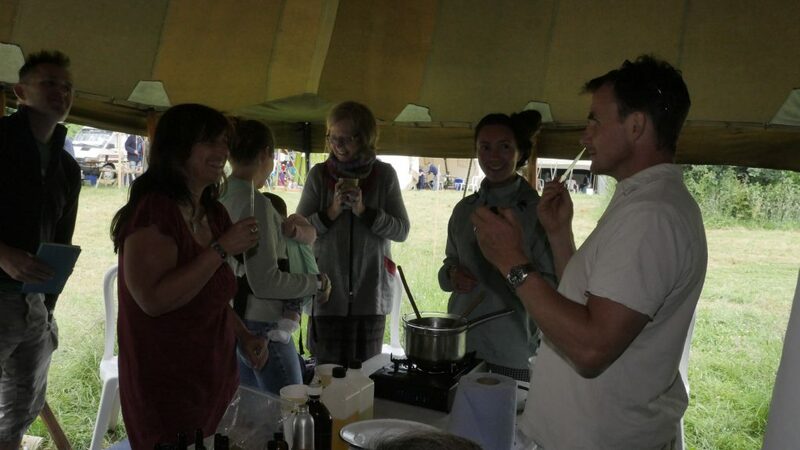 Other herbal workshops at Radical Bakers include a hands-on session on ointments and salves, hydrosols and a wild food walk. Loads more on our Workshops Page. Radical Bakers is a chance to learn and share practical skills. Focused workshops during the day, with Live Music and a Bar in the evenings. Full details of all the workshops and entertainment on our Home Page.